Replacement grip for sculling oar handles. 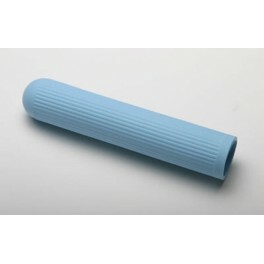 Ice blue rubber with longitudinal ribs. Fits wood handles, bonded composite handles, or old style 10cm adjustable-length handles. Sold individually. Order two to have a pair.